Sockwell compression socks offer a variety of styles and fit. They have knee high, crew, quarter & micro heights. They have graduated compression socks & relaxed fit for diabetics socks. See below! In 2017, Sockwell will release new fits and styles. One of those styles is the Stabilizer series for sports performance. 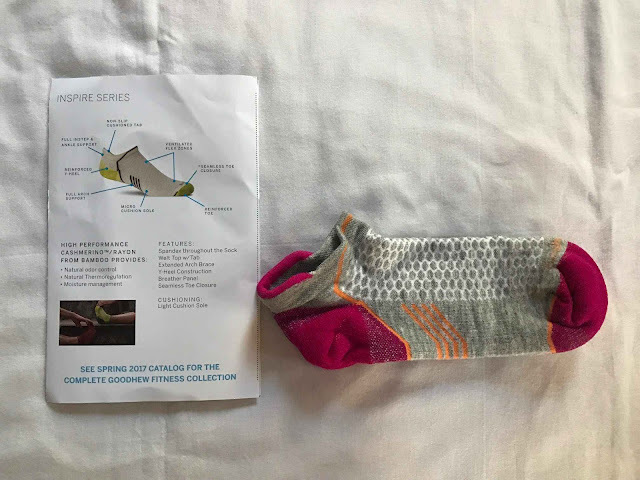 It offers increased stability in the ankle & plantar parts of the socks. They also have extra cushioning in the heels & toes. 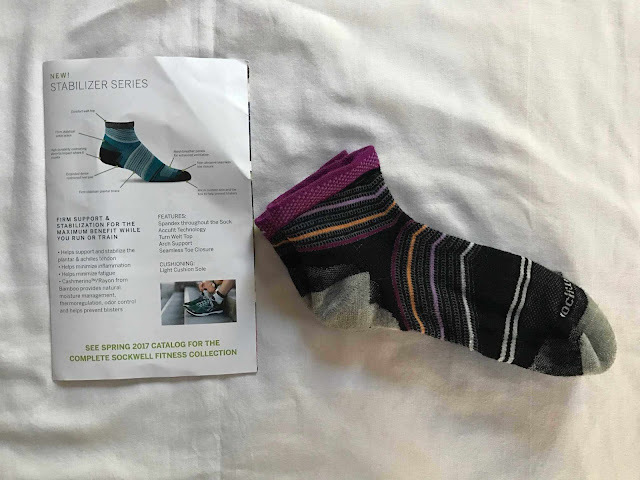 I was given a pair of Stabilizer socks from Sockwell to try & review. I really enjoy wearing them for running & other workouts. They stay in place without bunching or shifting. I like how the fit and the fabric prevent blisters. They are a quarter height to give extra ankle stability. I love how Sockwell socks have a smooth feel on your feet and legs. They pull moisture from sweating. I've never had any sweat smells from Sockwell socks! Here's my pro & con list for my Stabilizer socks review. Be on the lookout for the Stabilizers socks being released in 2017. You won't want to miss them! Sockwell socks can be purchased on Amazon & other retailers. I am a Sockwell ambassador & received one pair of Stabilizer socks for my honest review. All opinions are my own from my own experiences wearing them.